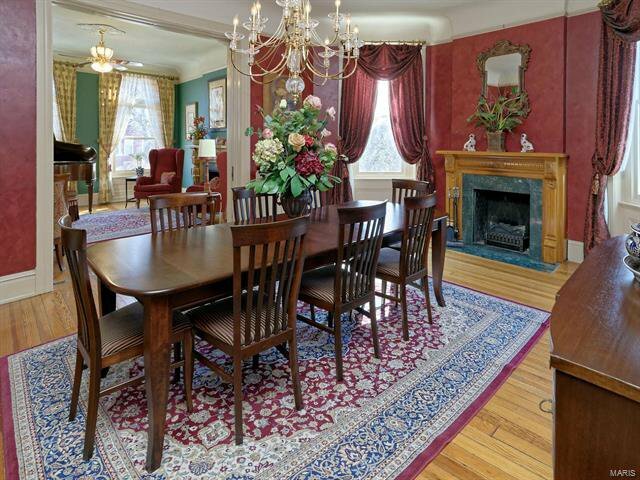 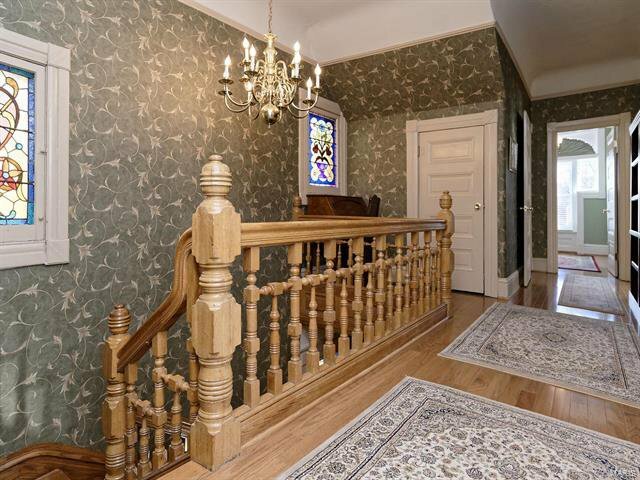 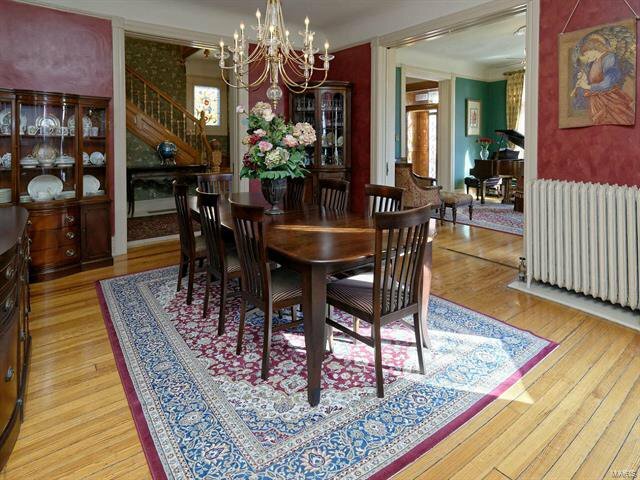 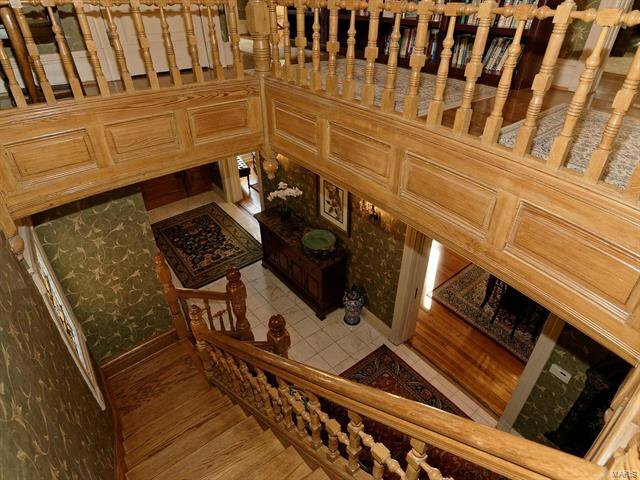 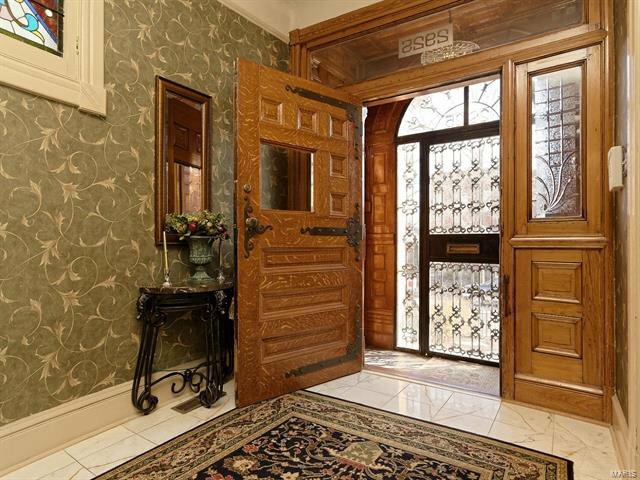 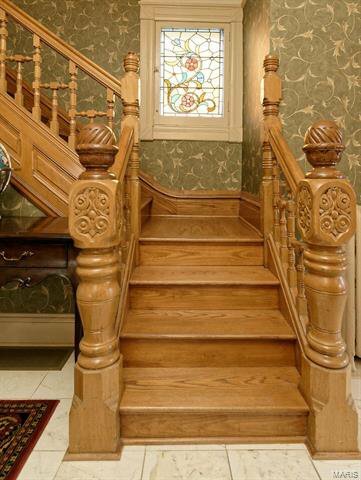 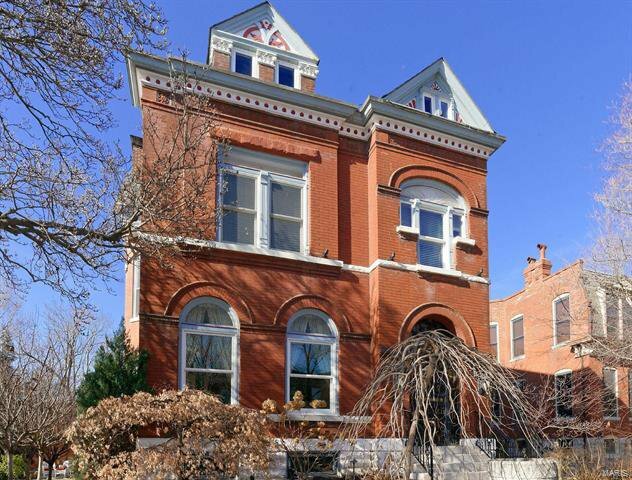 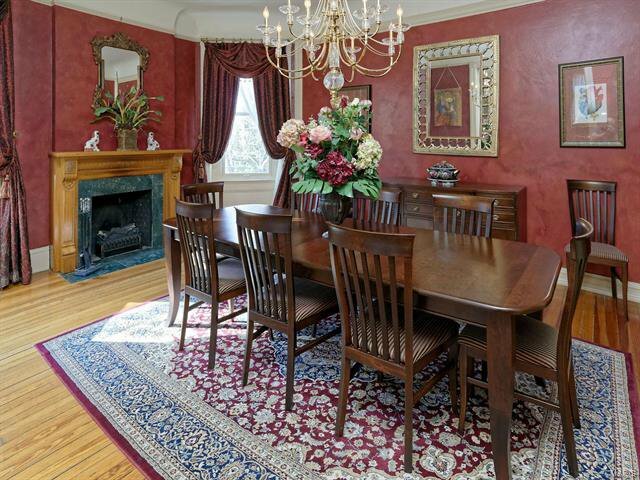 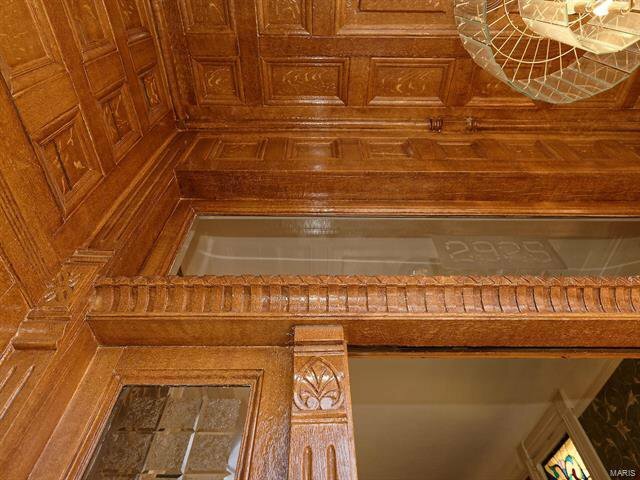 This wonderful example of Victorian/Richardsonian architecture w/ 4BR, 4 full & 2 half baths features breathtaking entrance foyer with original stained glass, grand staircase & original architectural splendor. 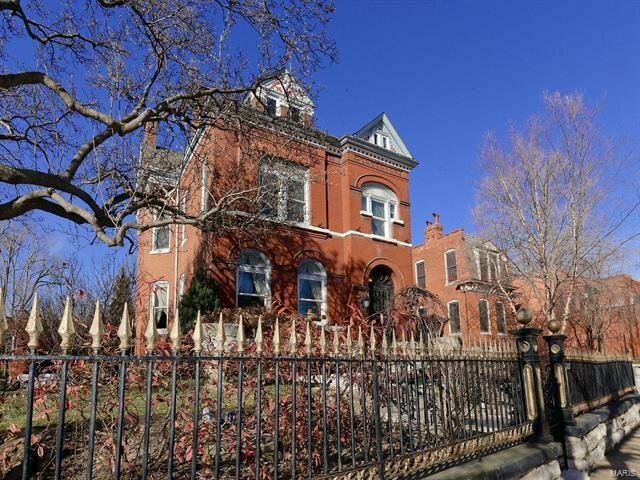 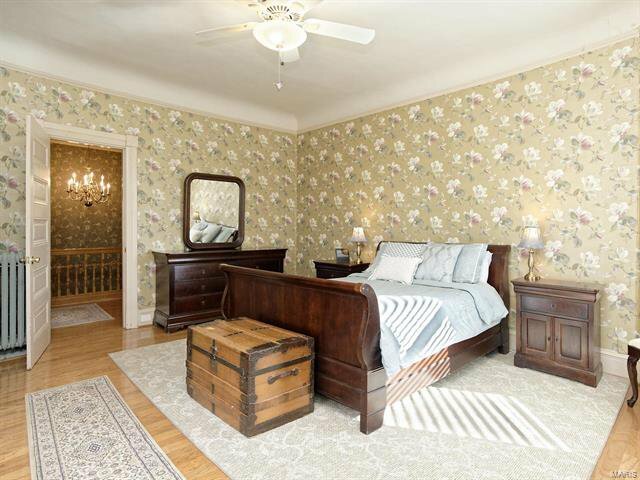 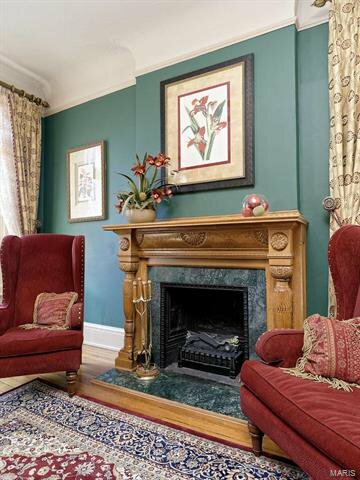 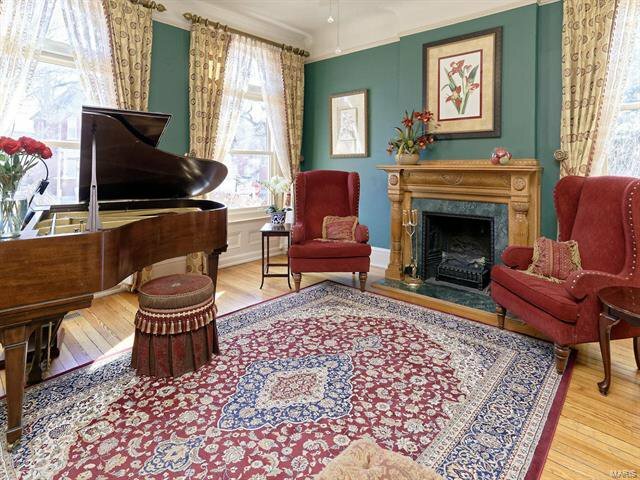 Incredible period millwork, 4 original fireplaces, pocket doors & expansive ceilings & pristine wood flooring. 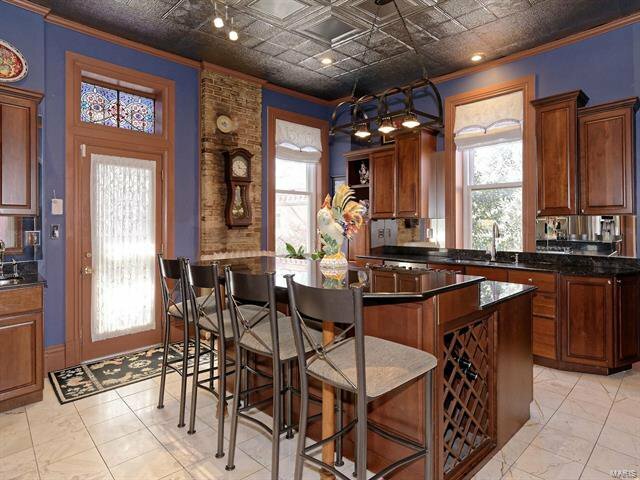 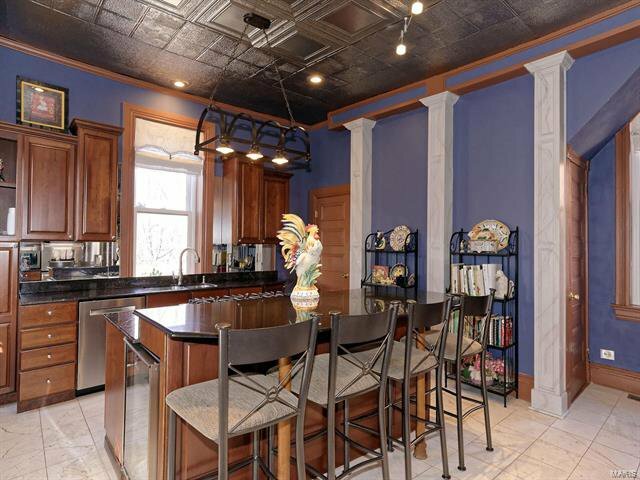 The custom gourmet kitchen features hardwood cabinetry, stainless appliances, granite surfaces, wine rack & fridge, marble flooring, center island & pressed tin ceiling. 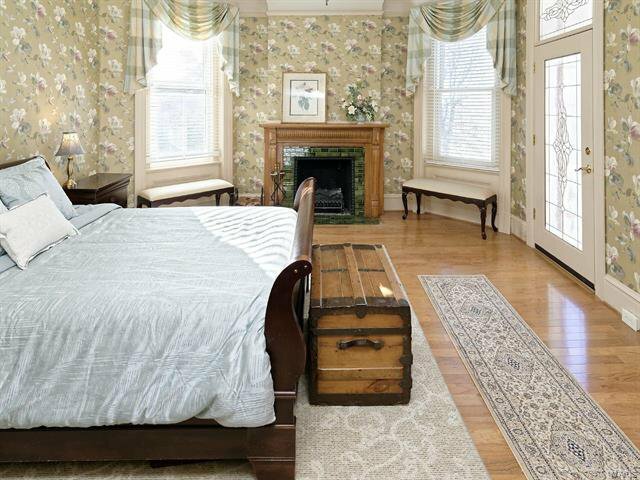 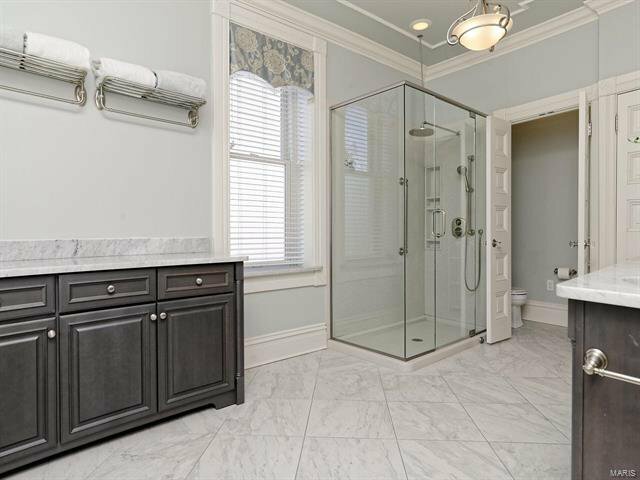 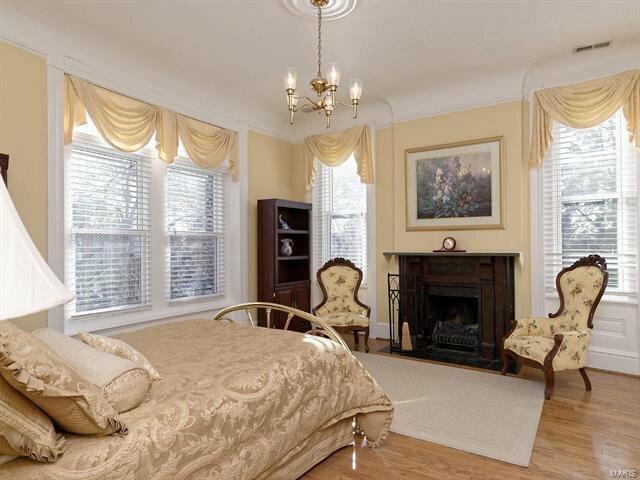 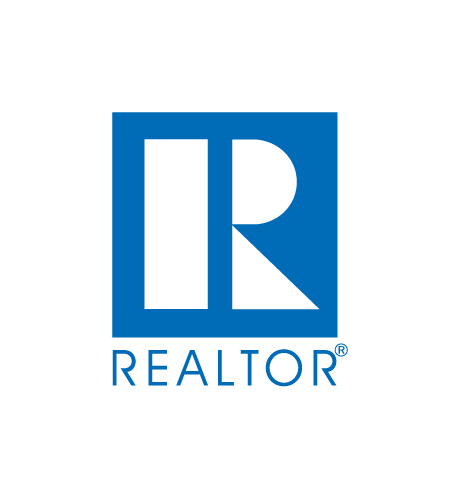 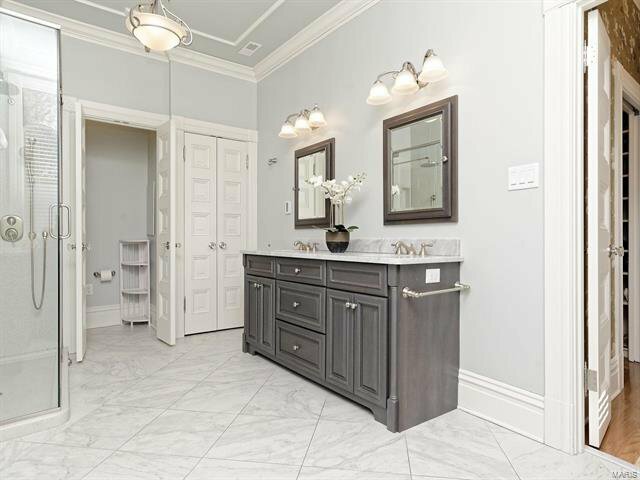 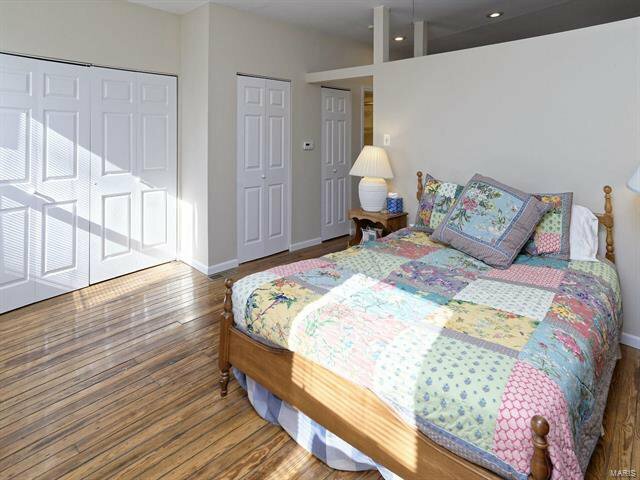 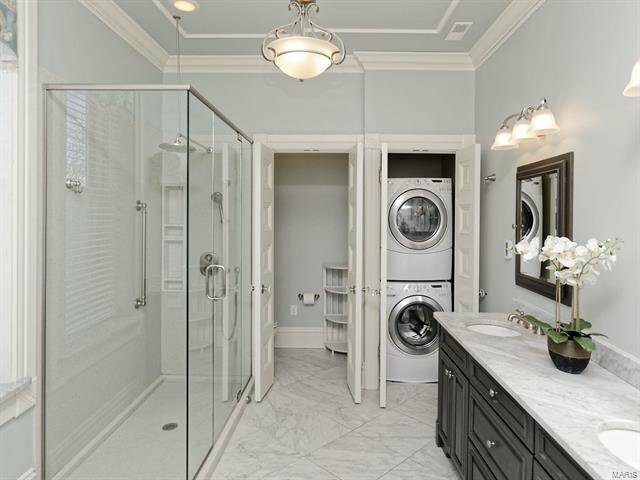 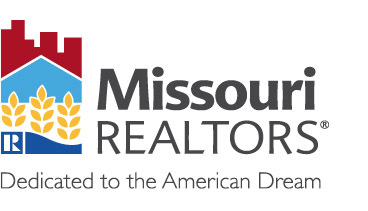 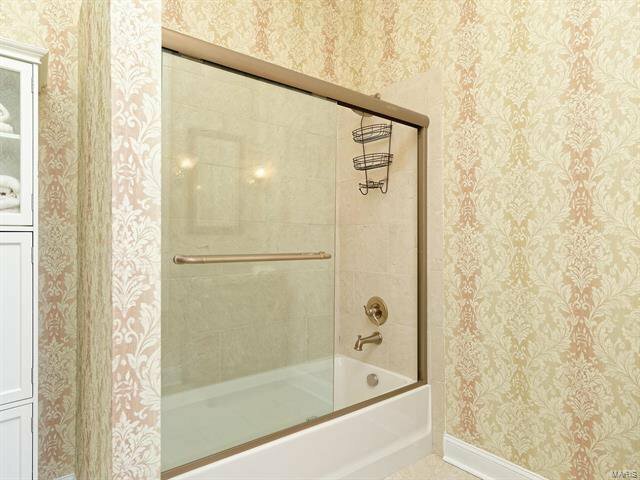 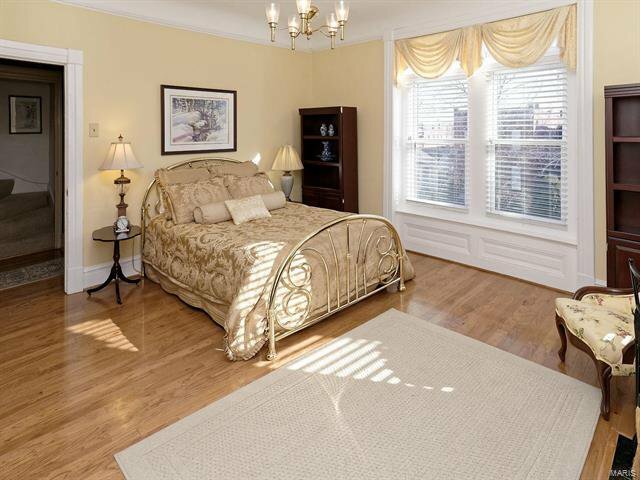 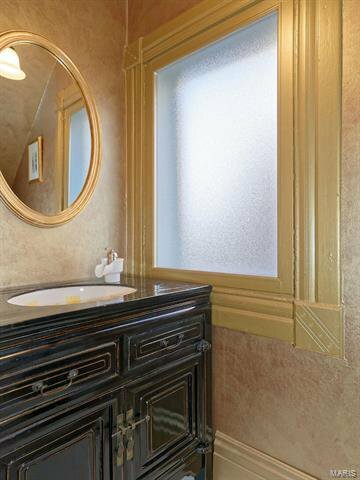 Beautiful master bedroom, office & large master bath. 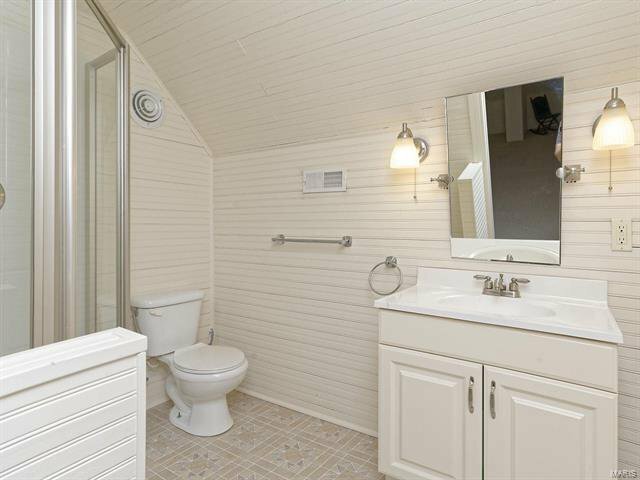 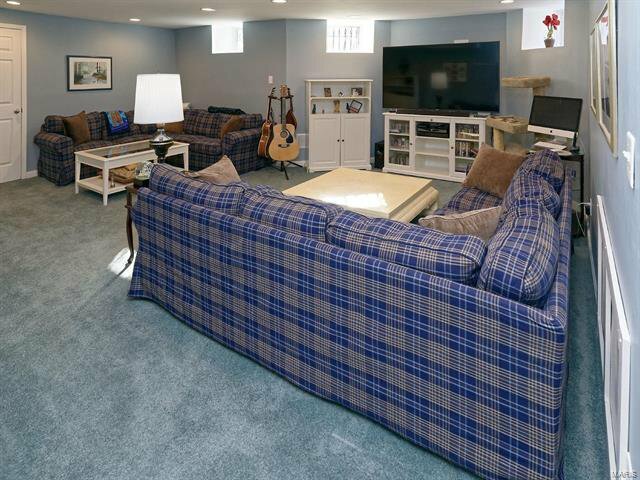 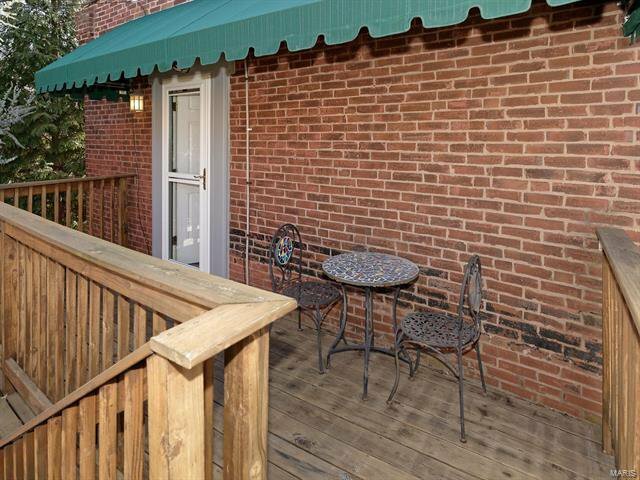 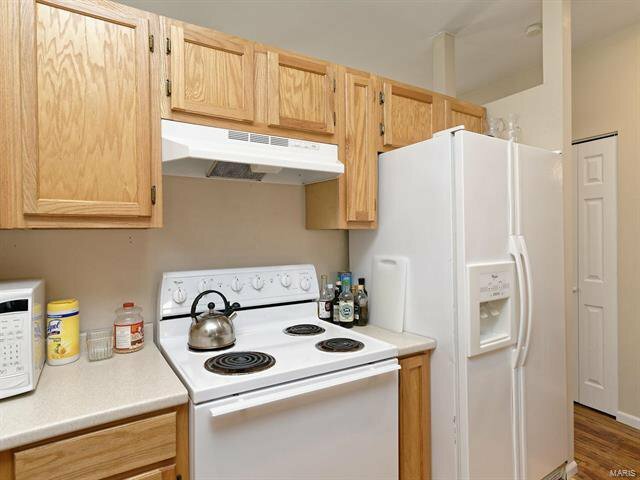 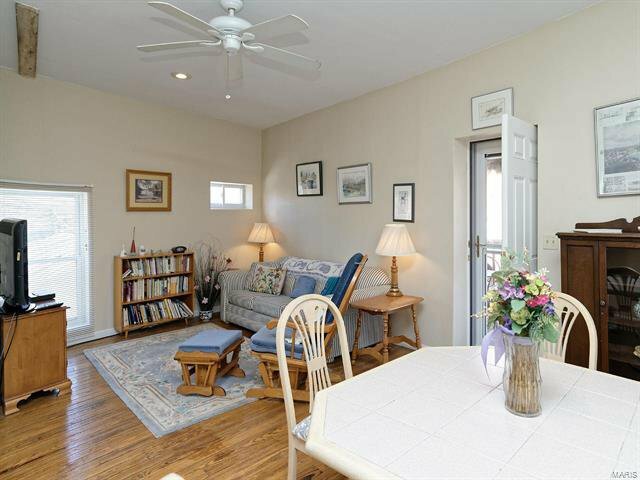 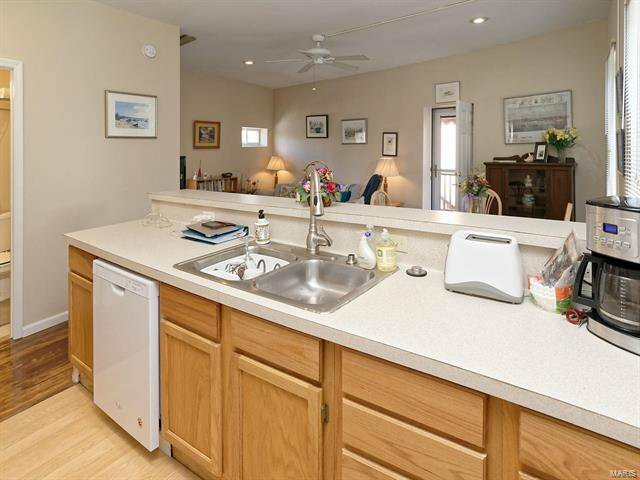 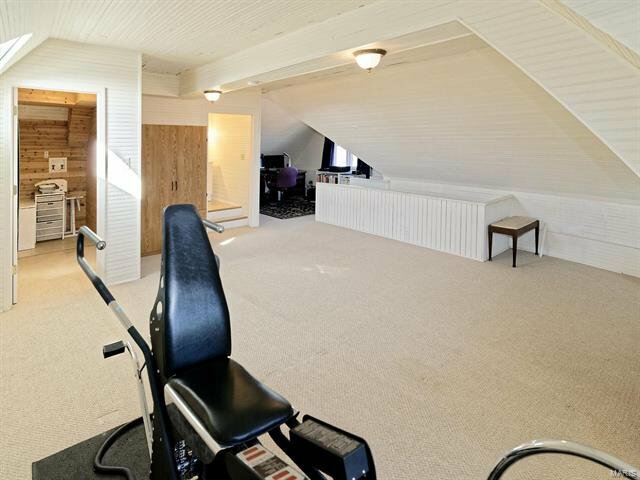 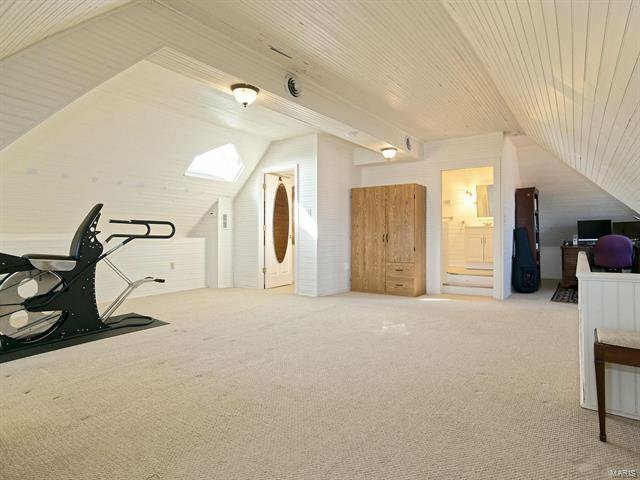 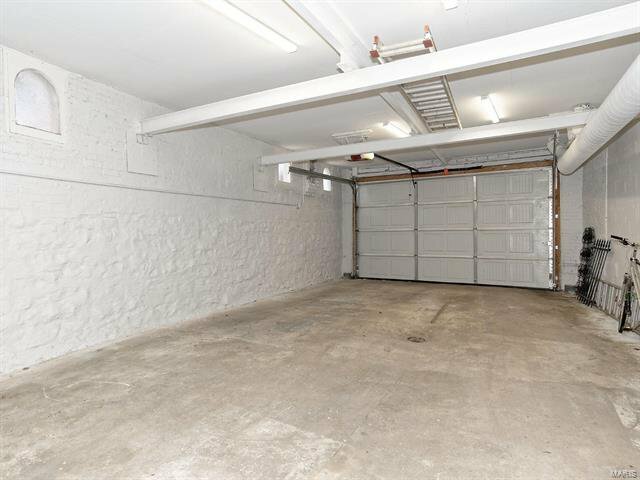 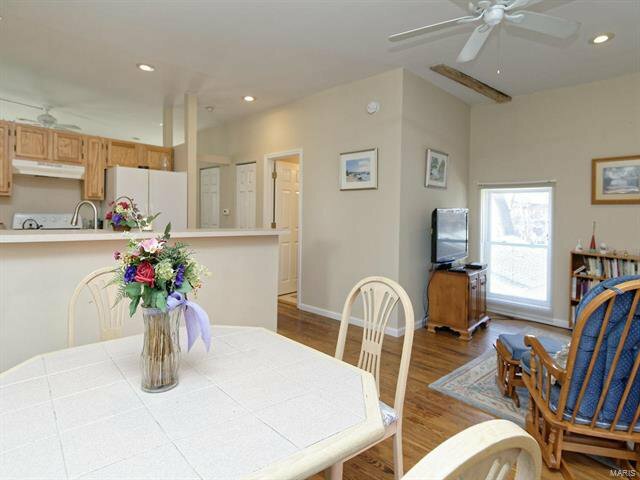 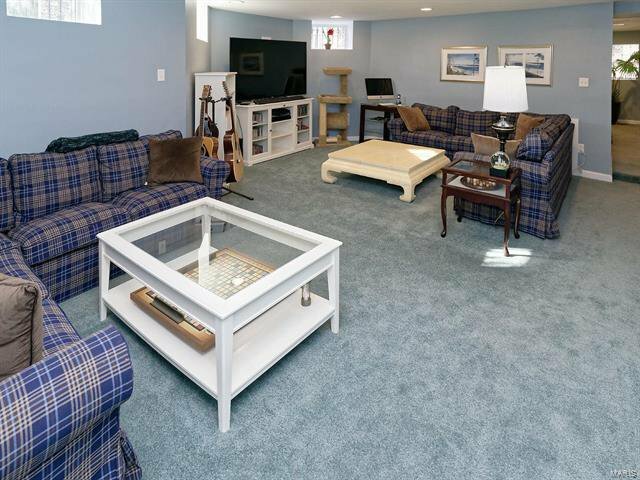 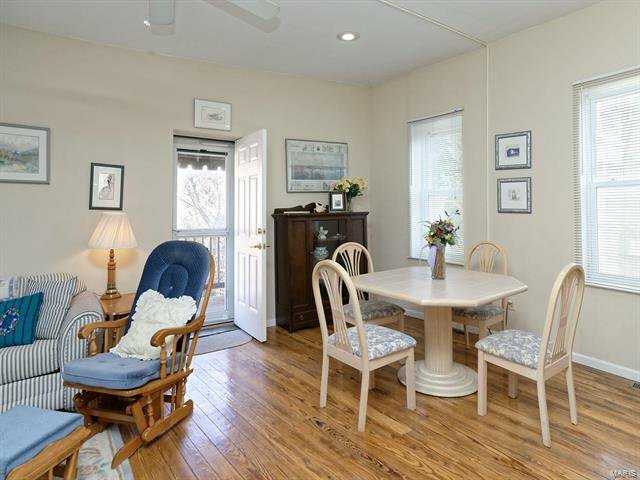 Professionally finished lower level family room with convenient 1/2 bath, utility room & ample closet space. 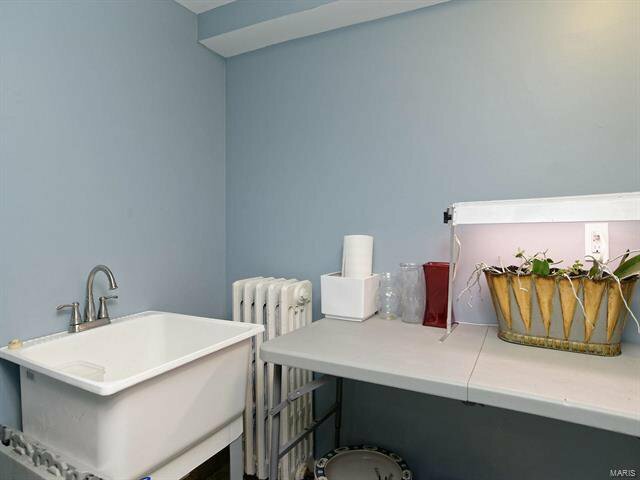 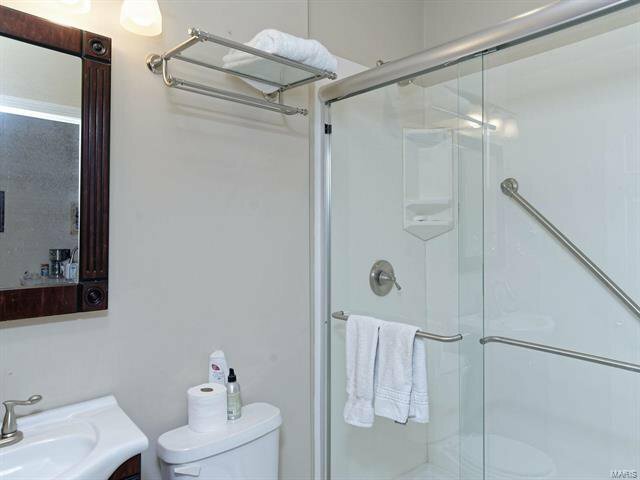 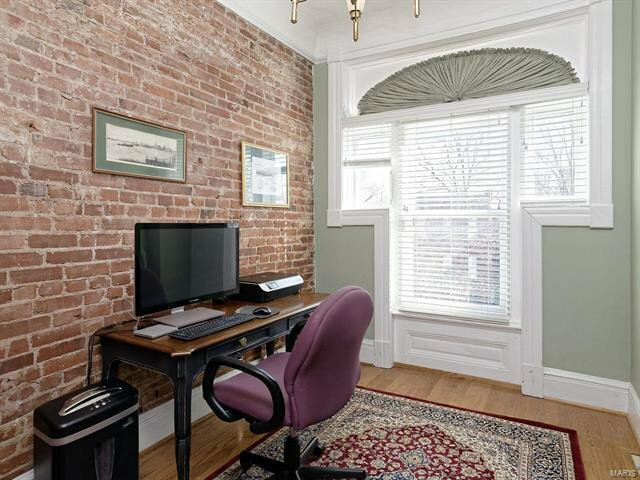 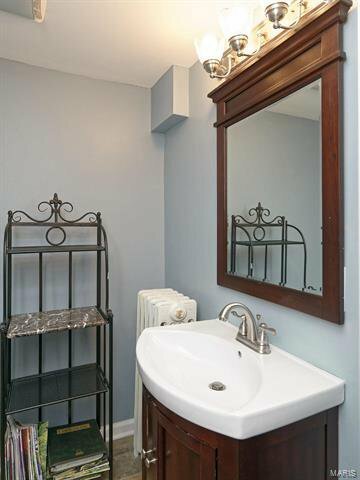 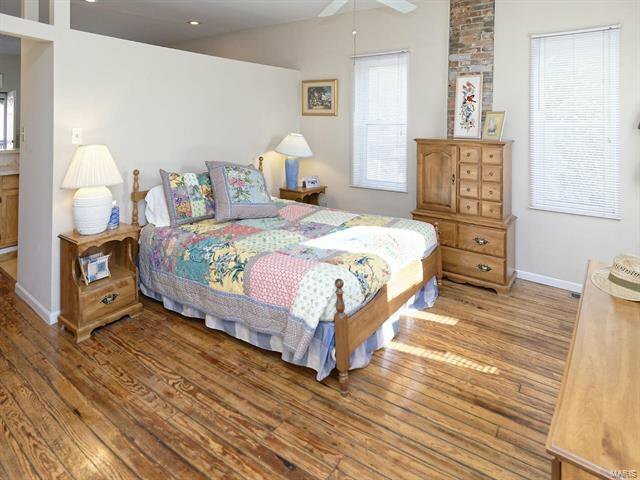 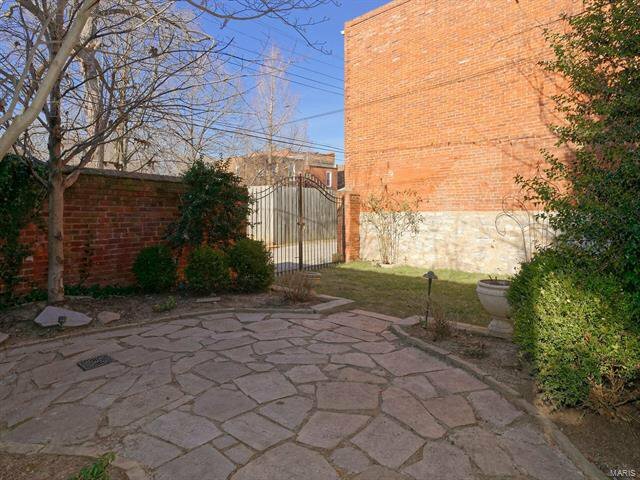 Nestled on 3 lots, with a 3 car carriage house that includes a renovated 1BR-1BA loft apartment with full kitchen, bath & laundry is ideal for rental or guest quarters. 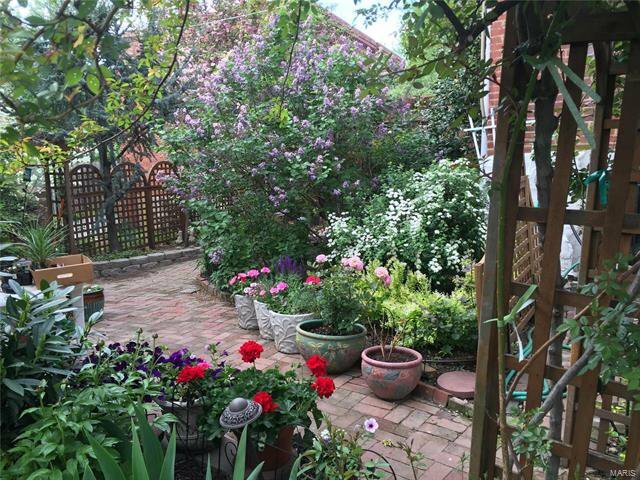 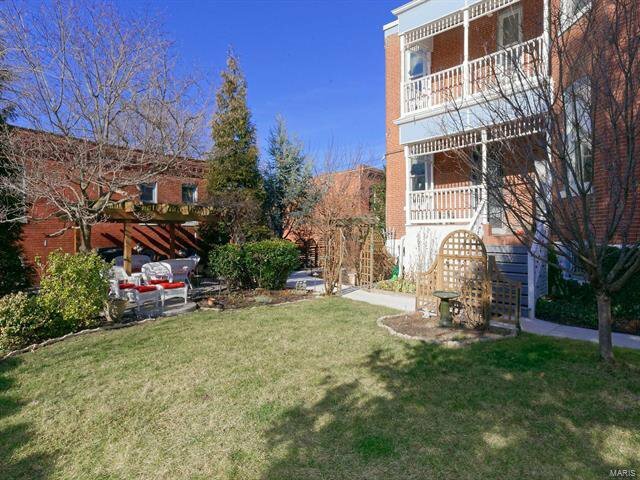 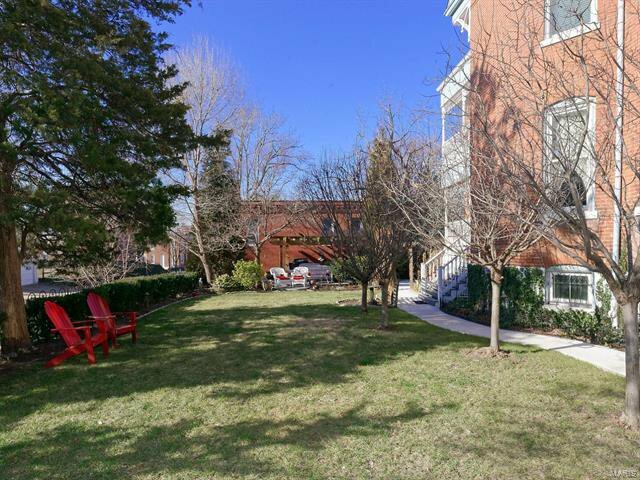 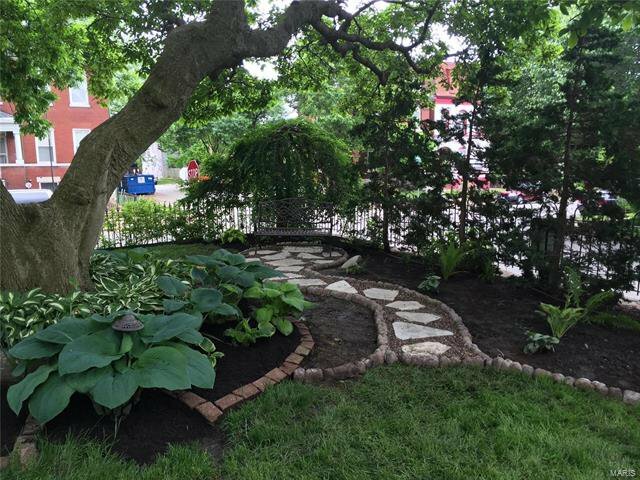 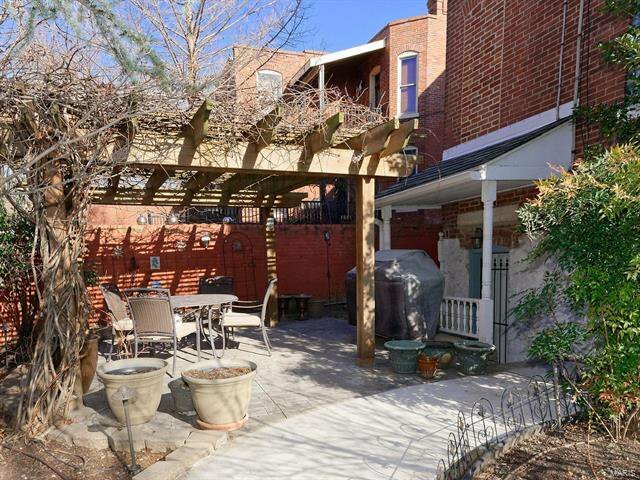 The gardens are beautiful & flanked with impressive patio areas. 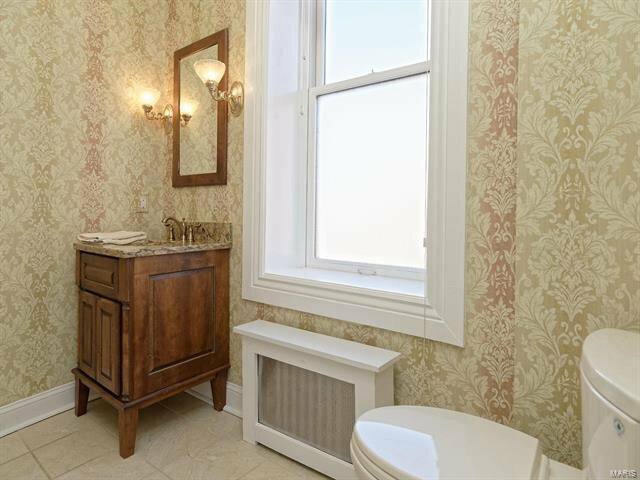 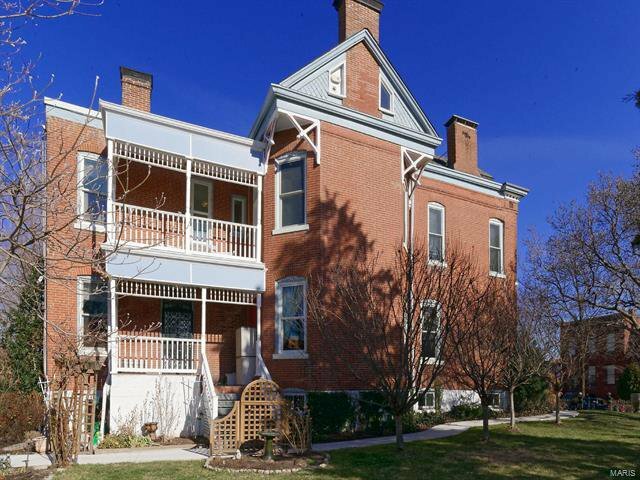 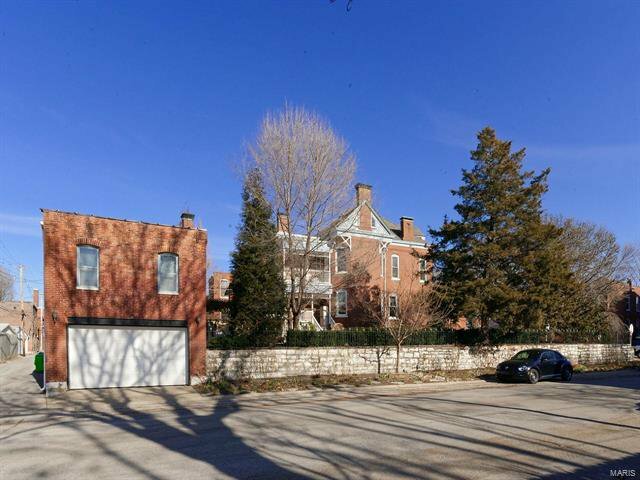 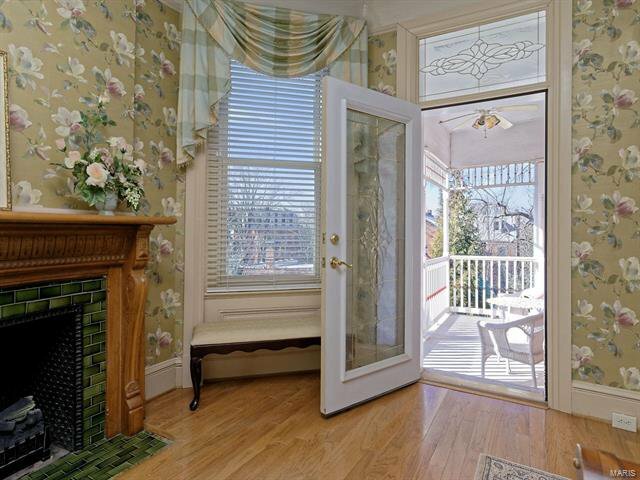 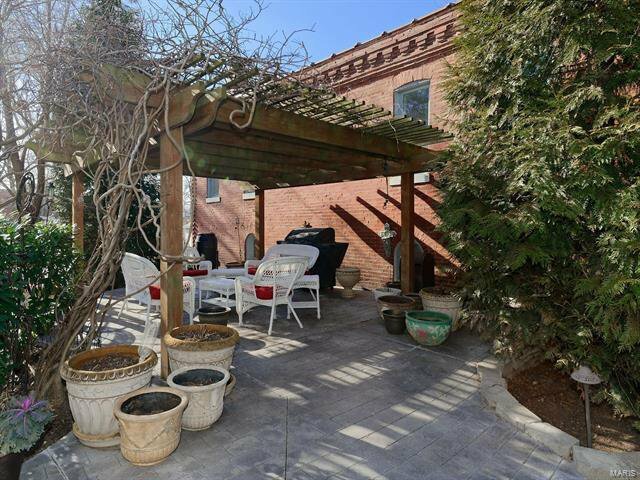 A rare opportunity to own this charming landmark in Benton Park which has been lovingly updated and cared for.